This week, we will finish up Chapter 2: “Roads Not Taken” of The Groaning of Creation. We will examine the doctrine of the Fall and see whether or not it comports with evolutionary theory and the theology of Andrew Elphinstone. We will finish Book VII – Chapters: 11 – 21 for this week. 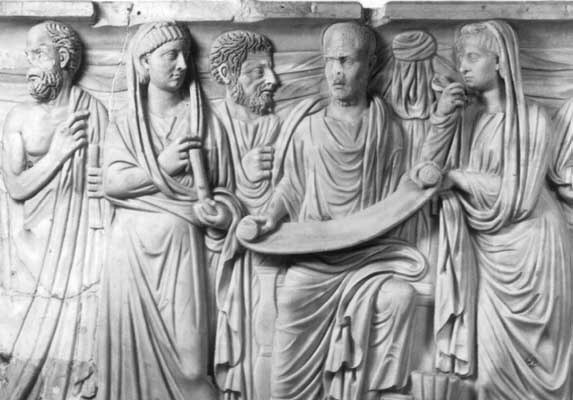 Please read an outline of Neoplatonic philosophy here and some of the videos here on the impact of neoplatonic thought on Augustine. Last week, as our group was discussing the expulsion of Jews from Spain in 1492, we also talked about the roots of antisemitism in church history. Our understanding was a bit foggy at best. However, after watching the second episode of the PBS series “The Story of the Jews”, narrated by Simon Schama, I gained a better understanding of the long, and very shameful history, of Christians murdering and persecuting Jews throughout the centuries. And of course, Muslims have had a long history of persecuting Jews as well. Schama places the Christian roots of antisemitism with the writings of St. Paul, and then hatred toward Jews reached its heights with the fiery preachings of John Chrysostom, Archbishop of Constantinople, during the 4th century AD who associated Jews with demons and the Devil, and as “Christ-killers”. When you think about it, as Mr. Schama discusses in this episode, having strictly monotheistic Jews accept the Trinity or the deity of Christ would not only be unacceptable to them, but downright weird. Even claims that Jesus was the Messiah as prophesied in the Old Testament by the prophets seems unconscionable to Jews who believe that with the coming of the Messiah, he would usher in an age of peace throughout the world – but as you know from history, the world has hardly been a place of universal peace after Jesus.